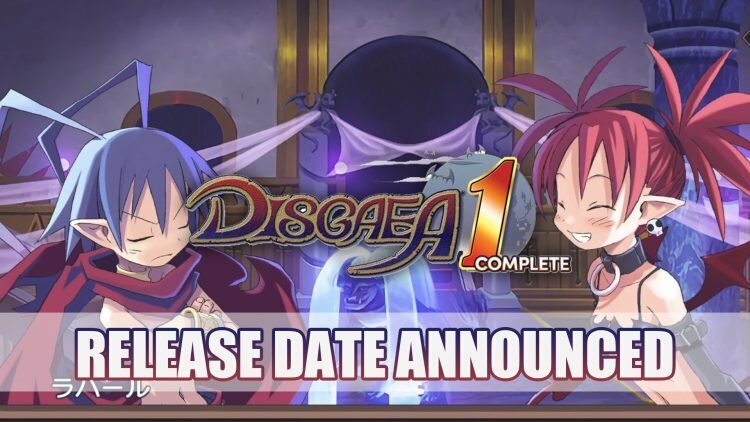 NIS America have announced the upcoming release date for the HD remaster Disgaea 1 Complete. The game is coming to platforms Playstation 4 and Nintendo Switch to North America on October 9th, 2018. Disgaea 1 Complete is a remake of the classic Disgaea game, getting a makeover as part of the 15th anniversary of the franchise. The original Disgaea: Hour of Darkness first launched on Playstation 2 in 2003 and was an entertaining mix of turn-based RPG tactics and quirky humour. The anniversary version sets to bring a remastered HD version of the game, which focuses on the journey of Prince Laharl as he tries to defeat the underworld. Disgaea 1 Complete also includes a new Etna Mode which will include some new characters that were not in the original release. Disgaea 1 Complete will be coming to Playstation 4 and Nintendo Switch on October 9th for North America while fans in Europe will need to wait a few days more, as it set to release on October 12th, 2018. If you enjoyed reading this article be sure to check out Disgaea 5 Complete Delayed For PC And NIS America Demo Pulled and Disgaea 1 Complete For PS4 And Switch Release Trailer With Improved Graphics.